How effective is the S-300 PMU-2 "Favorit" that Russia has just delivered to Syria? Especially when employed against the F-35 stealth fighters that Israel intends to make more use of when attacking targets in Syria? Who has the edge? This is truly a hot topic for the press right now. It would be better, of course, to avoid the military hostilities and leave this as a theoretical, unanswered question, because no definite answer is possible until a real shootout takes place. Stealth technology includes both active and passive measures that reduce visibility and the chance of detection. Some of those are classified, as are the specifications and capabilities of the S-300. This makes it much more complicated to offer predictions or conclusions. But the known facts can be considered impartially and objectively. Israeli officials play down the significance of the shipment of the S-300 to Syrian government forces. “The operational abilities of the air force are such that those (S-300) batteries really do not constrain the air force’s abilities to act,” said Tzachi Hanegbi, Israel’s regional cooperation minister. Defense Minister Avigdor Lieberman said in April that “if anyone attacks us, we will retaliate, regardless of S-300, S-700 or any anything else’s presence there”. The Pentagon has also cast doubt on the S-300’s effectiveness. Let’s give the devil his due. The F-35 is a fine example of low observable aircraft with extraordinary capabilities. It’s a formidable weapon, but so is the S-300. 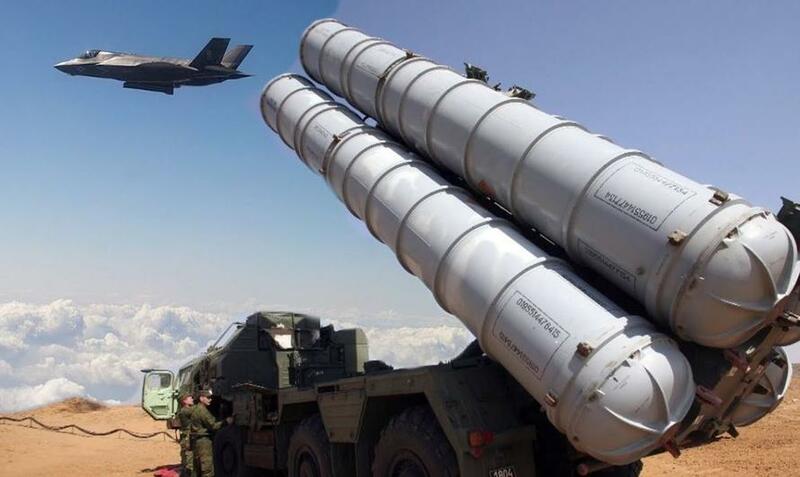 If the worst happens, Israel’s high-end F-35I Adir aircraft will be checkmated by this Russian-made, state-of-the-art air-defense system. A stealth aircraft is not invincible. It has its strengths and weaknesses. In Syria, Israeli F-35s will be up against a tight, integrated air-defense network with multiple radars trying to detect and track the target from different directions. Excessive use of stealth technology restricts the combat capabilities of an aircraft like the F-35. A plane based on stealth technology does not perform exceptionally well in combat. It cannot carry many weapons because everything is hidden inside the body. Its ability to remain invisible is reduced as soon as the radar is turned on. Low frequencies can detect a stealth aircraft. A bomb bay that has been opened to launch weapons will also give the plane away. The S-300’s 48N6E2 missiles boast single-shot kill probability of 80% to 93% for an aerial target, 40% to 85% for cruise missiles. and 50% to 77% for theater ballistic missiles. The Russian system uses the 96L6 all-altitude detector and acquisition radar, which works in L-band. It has a 300 km range and enhanced resolution. The S-300 PMU-2 version can detect and track 100 targets. The radar is said to be able to detect stealth targets. Large wavelength radiations are reflected by “invisible” aircraft. Radar that operates in the VHF, UHF, L and S bands can detect and even track the F-35 without transmitting weapons-quality track. It is true that no accurate targeting is possible, but at least you can tell where the plane is. The S-300’s vertically launched missiles can be re-targeted during flight. The explosion is so powerful that no kinetic kill is needed. Multiple killing elements will strike targets throughout the vicinity. The IAF F-35s still need to be integrated with other assets in order to enhance their chances of carrying out missions. Just to be on the safe side, they will probably be escorted by electronic warfare aircraft, which are not stealth, thus giving away their position and providing the enemy with enough time to take countermeasures. Israel has only 12 F-35s, with 50 more arriving by 2024. The price tag for each is about $100 million. It’ll be a long time before they are in place and integrated into the Air Force. And twelve are simply not enough. Besides, the aircraft still needs to be upgraded with the full operational capability of Block 3F and subsequent Block 4 software and hardware configurations. Once the S-300s are operational, all other Israeli non-stealth planes will face huge risks any time they fly an offensive mission into Syria. It should also be taken into account that Russia will jam the radar, navigation, and communications systems on any aircraft attacking targets in Syria via the Mediterranean Sea, as Russian Defense Minister Sergei Shoigu warned on Sept. 24, 2018. Israel boasts a broad repertoire of standoff weapons, along with highly advanced electronic warfare systems and enhanced cyber capabilities. It also has very experienced and well trained personnel. Nevertheless, the S-300 in Syria is a deterrent to be reckoned with. Hopefully, the peace process in that war-torn country will move forward and there will be no escalation to provoke an S-300 vs. F-35 fight.